Mineral Trade Ltd was founded in 2011, the company specialized in processing mineral & industrial materials. 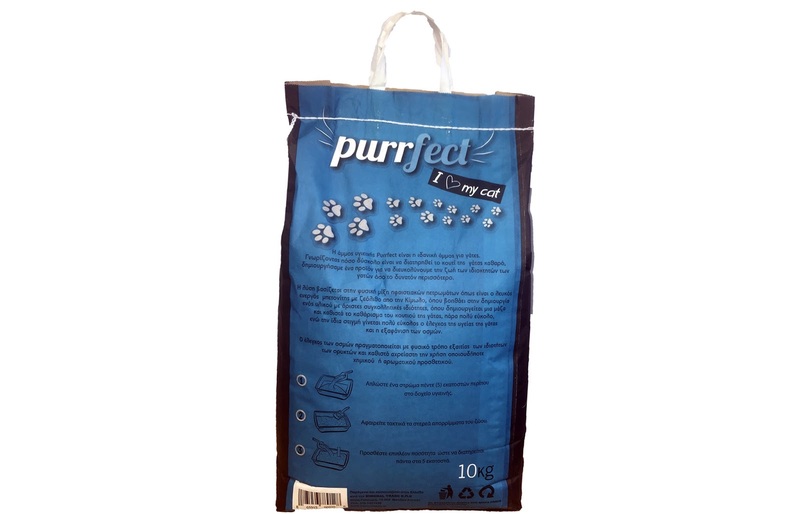 One of the products of the Company is cat litter Purrfect. 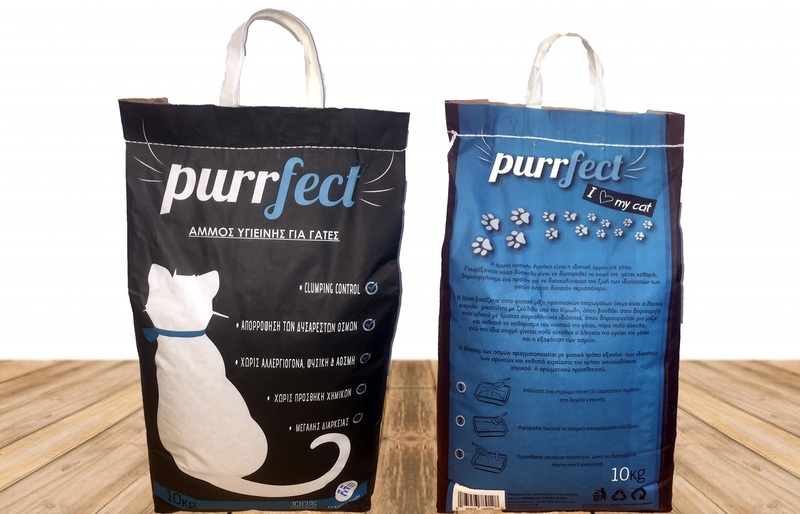 This product packaging has been designed in black colour in order to make the difference among other packages and attract the consumer’s eye. 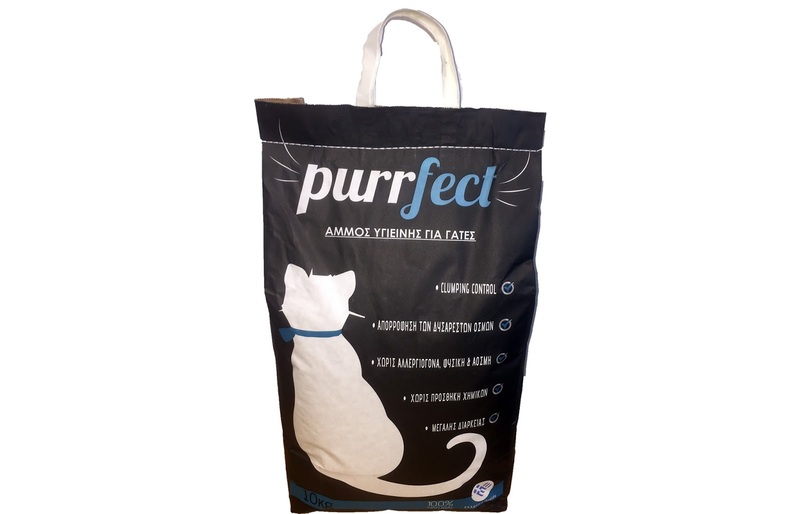 The balance of the colours(blue-black_white) offers a relaxing approach in accordance with the innovative design offers a resistant package made from paper that can handle 10 Kg of Cat litter with comfort for the consumer.